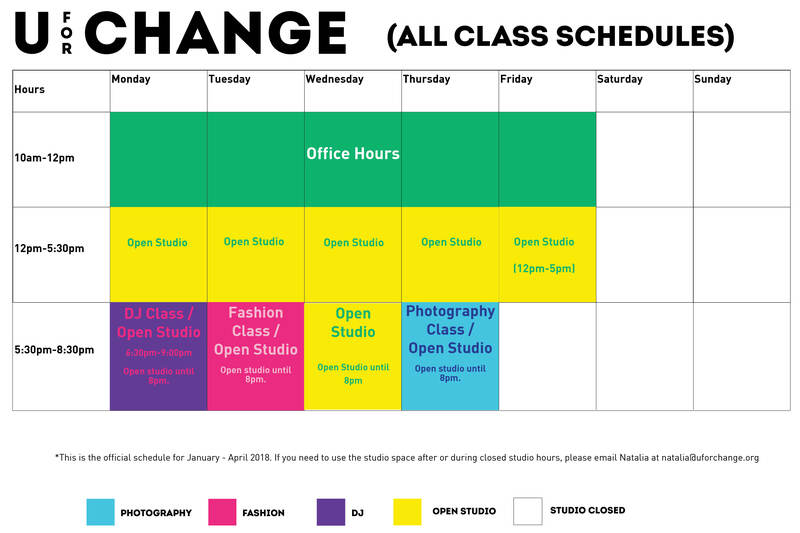 U For Change | New Studio Hours! 17 Jan New Studio Hours! We have new studio hours for the second semester of Cycle 13! If you need to use the studio space after or during closed studio hours, please email Natalia at natalia@uforchange.org.